This home was designed in 1955 by Wendell Lovett during an early phase of his career when he was heavily influenced by the Miesian idiom and the idea of using production components to create minimalist dwellings. After its construction in 1957, the home received numerous design awards and was featured in a variety of domestic and international publications. 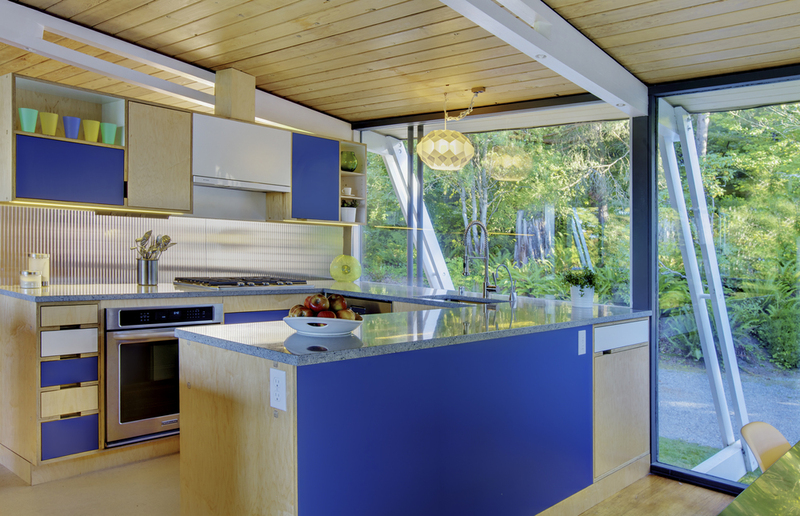 Our client wanted to maintain the integrity of this iconic mid-century modern home, however, they also wanted to update the original 1950’s era kitchen. Schemata Workshop designed a new kitchen that preserves the Lovett sensibilities and details, while accommodating the modern needs of a family of three. We collaborated closely with Kerf Design on cabinets; and BrightWork Builders took explicit care in coordinating all the details of putting it all together seamlessly to appear as if the kitchen was original to the home.